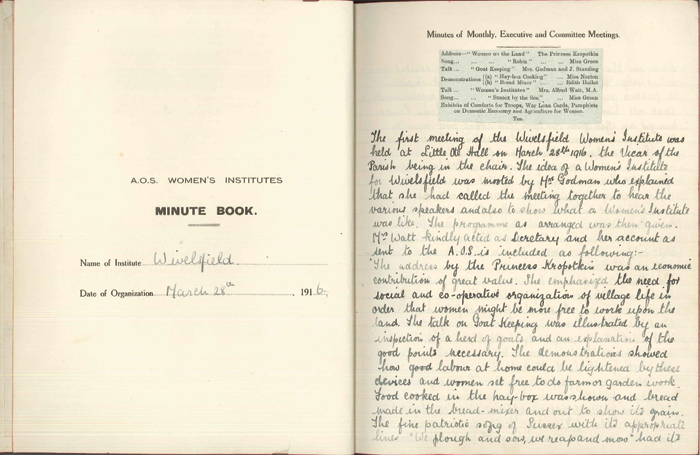 During the First World War, the small village of Wivelsfield played host to the first branch of the Women’s Institute (WI) in East Sussex. 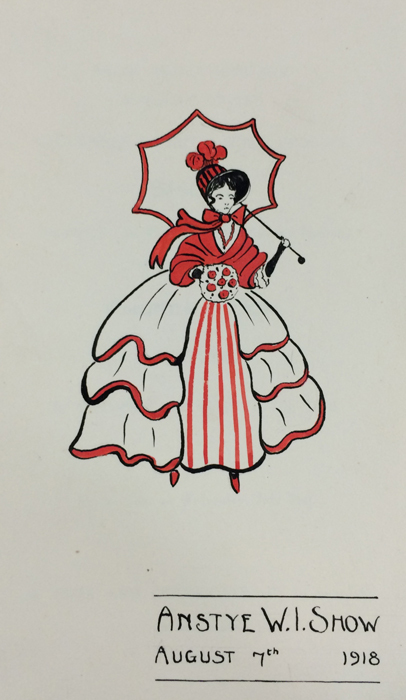 The Women’s Institute movement originally began in Ontario, Canada at the end of the 19th century. From here they rapidly spread out across the rest of the country. 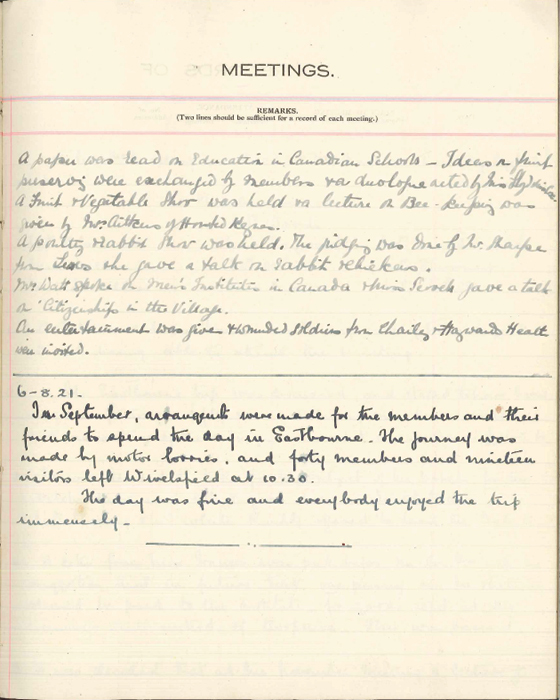 The aim of these early branches was to assist in bringing women from isolated communities together. 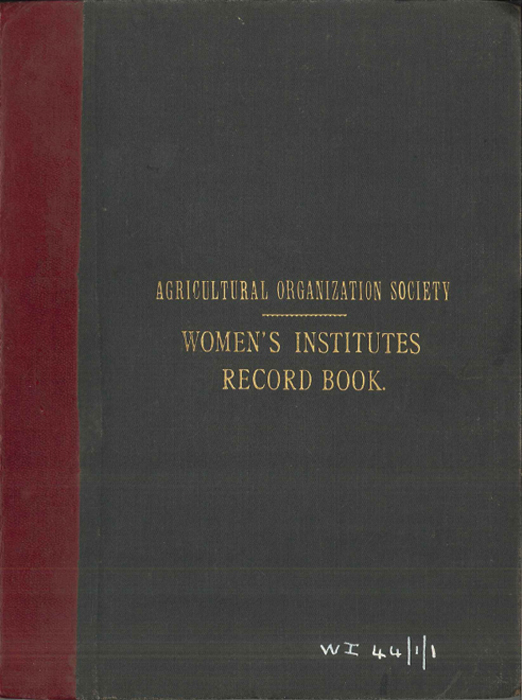 Training was also provided to women in matters such as childcare and farming. 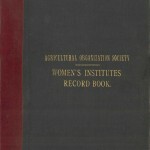 Soon, conditions in Britain became suitable for the creation of branches of the Women’s Institute. 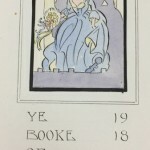 At the outbreak of the First World War, the Women’s Suffrage movement had been ongoing for many years. Even by the time of the 1918 General Election, many women still did not have the right to vote. Further to this, the requirement for more men on the front lines of the war, both through volunteering and eventually conscription, meant that women had to take on increasing levels of responsibility back in Britain. 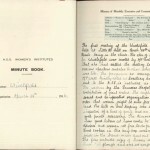 These circumstances led to the creation of the first British branch of the Women’s Institute in Wales in 1915. By the early part of 1916, the first East Sussex branch was inaugurated in the small village of Wivelsfield. 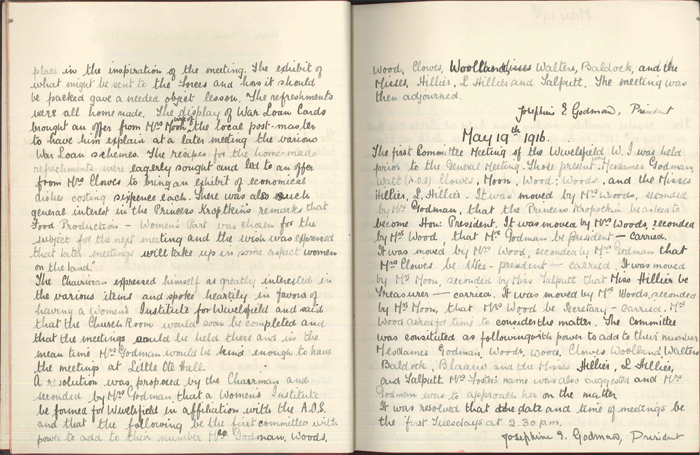 The first meeting of this new WI branch was held on 28 March 1916 after being called by Mrs Godman, with the local Reverend acting as Chairman. 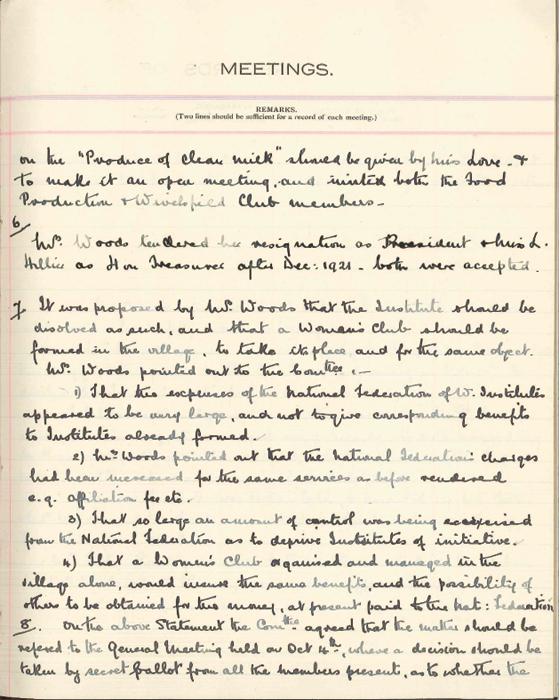 The purpose of this initial meeting was to ‘hear the various speakers and to show what a Women’s Institute was like’. 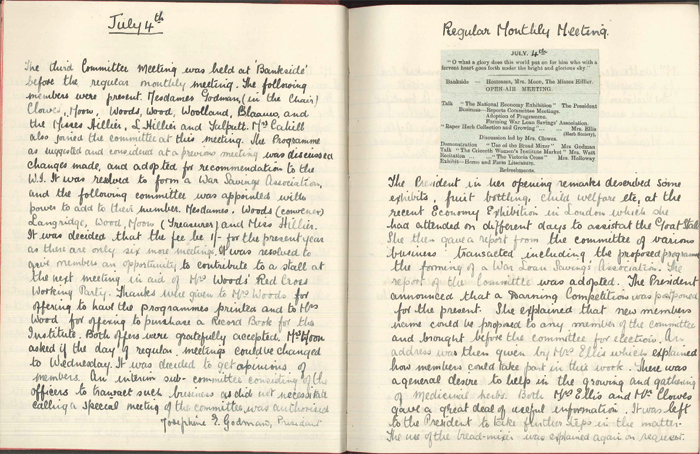 In addition to this, it was thought there was a ‘need for social and co-operative organisation of village life in order that women would be more free to work upon the land’. 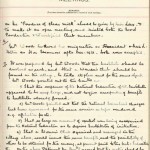 At the culmination of this opening meeting, which also featured a talk on goat-keeping and demonstrations of agricultural techniques, a resolution was proposed and subsequently passed creating a Women’s Institute for Wivelsfield. 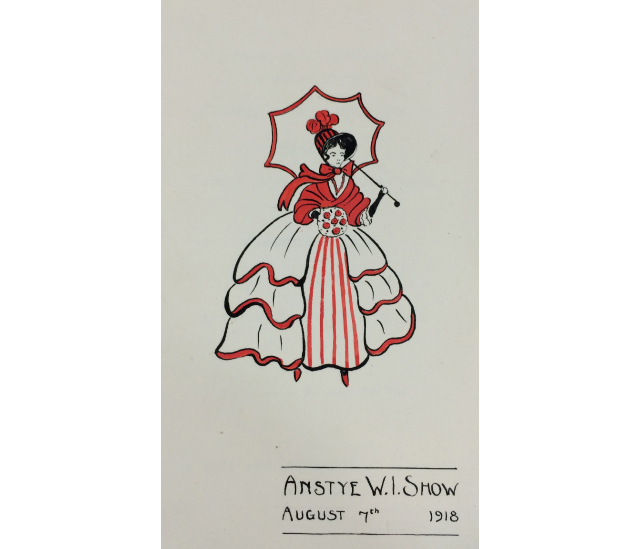 The activities of the Women’s Institute of Wivelsfield would often remained rooted in the agricultural focus that had brought it into being. 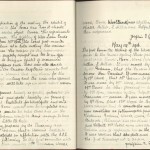 However, the ongoing nature of the war also meant that a desire to respond to the conflict and support the men who were fighting in it often influenced some of the practices. 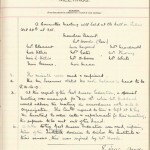 During the meeting of 4 July 1916, it was proposed that the branch support the creation of a War Loan’s Scheme in order to help finance the war effort. At the time, these women would not have been aware that a few days earlier, the ranks of Sussex men had been devastated during the Battle of the Boar’s Head. 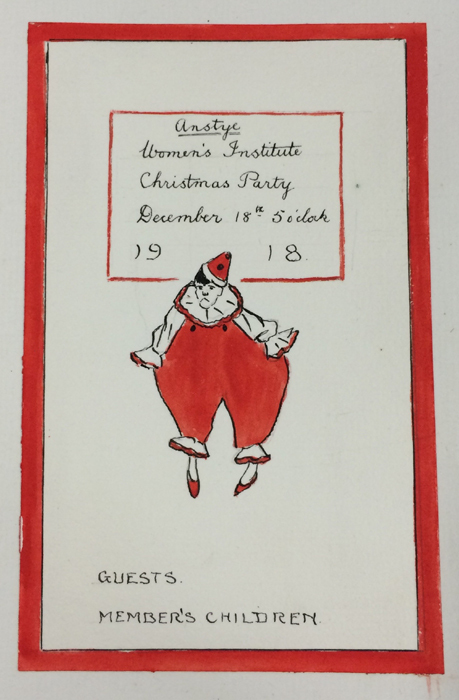 Across the border in the West Sussex town of Anstye, a branch of the Women’s Institute often hosted events for families in the area. These events would be a mix between family shows, and also demonstrations of the skills and organisation which existed within their branch. 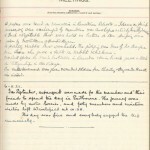 The end of the war in 1918 was an event that was heavily celebrated in East Sussex. 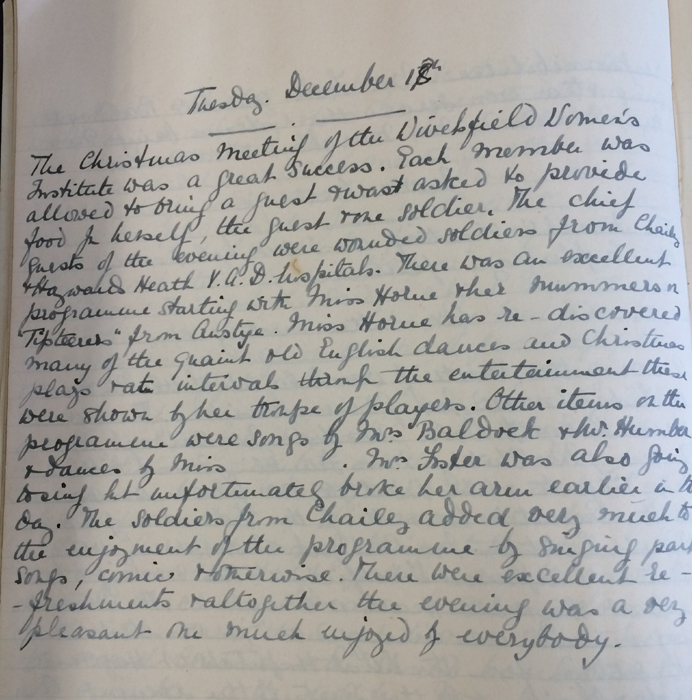 However, the diary of the Wivelsfield Women’s Institute shows that the meeting scheduled for November had to be postponed as the area was currently fighting against the effects of the Influenza Pandemic. 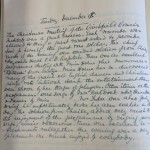 However, the Christmas meeting suggested that enough members had recovered from the illness to celebrate the end of the year but also to make plans for the ongoing support of those men who had been badly wounded during the war. 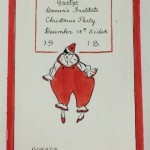 The Wivelsfield branch of the WI would continue beyond the end of the war although membership appeared to drop in the immediate post-war years. However, the local branch found itself at the centre of a growing conflict of control and initiative with the National Federation of Women’s Institutes. 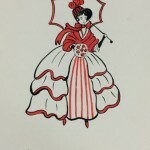 This reached a head in the meeting of 6 August 1921, when the branch President proposed the group be dissolved and replaced by a Women’s Club of the same basic purpose. 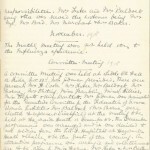 Her reasons for this motion were based on the ongoing expense of running a WI branch, the control over the activities of each branch exercised by the National Federation that ‘deprived Institutions of initiative’, and that a club organised and operated within the village alone would be better placed to serve the memberships needs. 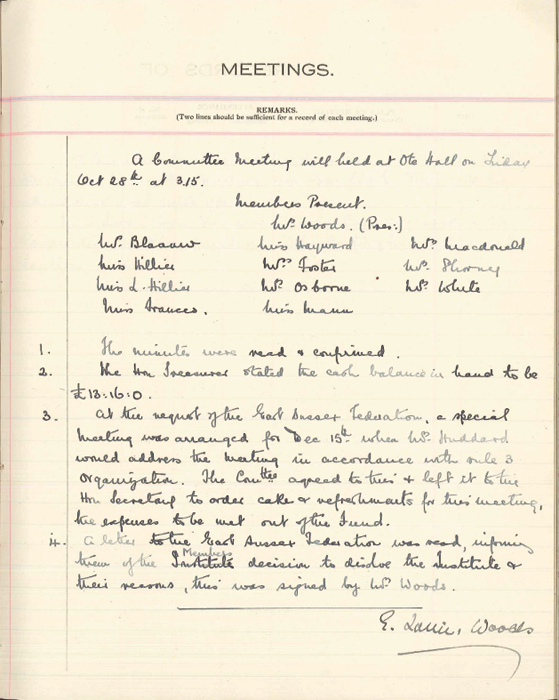 Having been put before the member’s consideration the matter was put to a secret vote during the October meeting. The reasons for the motion were briefly reiterated before the ballot was held. 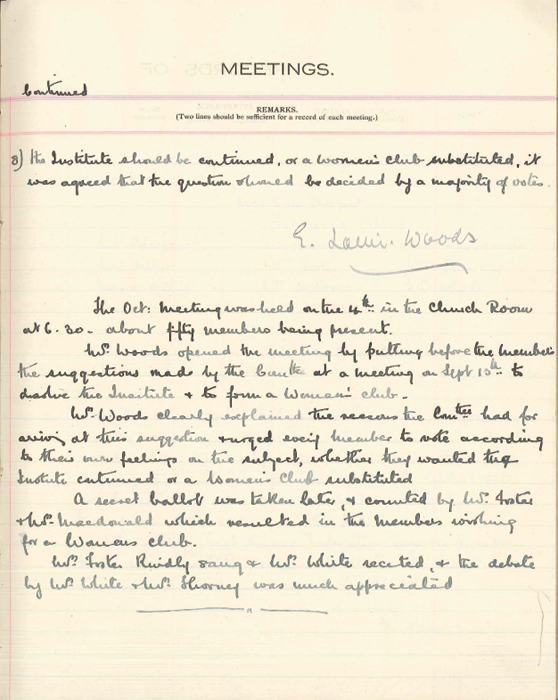 The result of this vote was that the membership supported the decision to dissolve the branch and form a new Women’s Club. 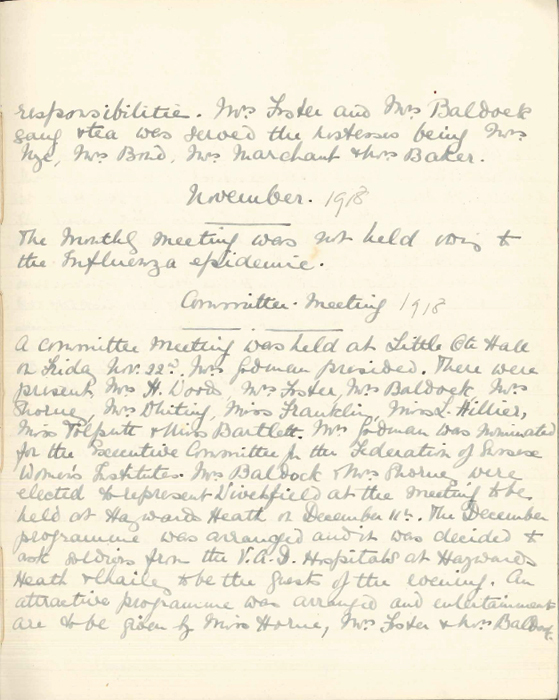 A final meeting of the branch was held on 28 October 1921. At the conclusion of this meeting a letter to the East Sussex Federation was read out informing them of the decision to dissolve the branch. 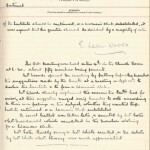 The language within it was agreed and the final act of the branch President, Mrs Woods, was to sign the letter for posting. With that the Wivelsfield Women’s Institute ceased to exist and was converted into a Women’s Club. This was not the end of the Women’s Institute, however. In 2015 the WI celebrated their 100th anniversary of the first branch in Britain, and they continue to be an active member of many communities to this day.